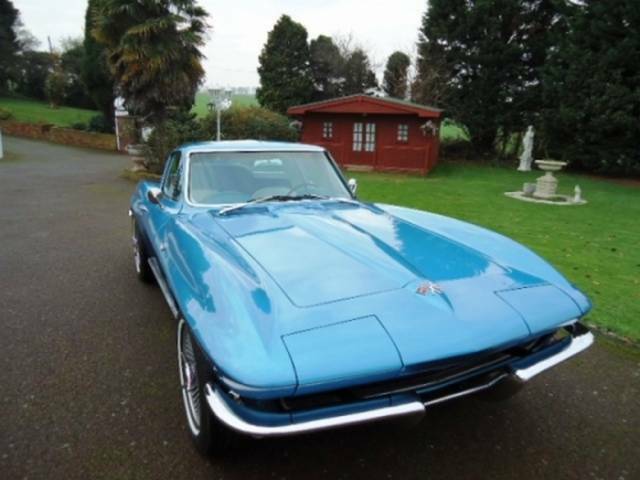 Corvette stingray coupe 1965 finished in Nassau blue,with complimented blue and white interior,and blue dash and carpets,knock off wheels,and radial tyres,independent rear suspension,disc brakes all round,AM/FM stereo system, 4 speed Muncie transmission, powered by a period and correct casting engine 327ci/ 350HP,L79 V8 . A super looking and breath taking Corvette. £118,750.